"If any experienced Dental Office Designer will actively invest in their client, interviewing without time constraints, creatively accommodating and revising until the client is satisfied, the resulting plans are always radically superior and visually exciting. When choosing your Dental Office Designer, demand decades of experience, comprehensive product and code knowledge and above all, a proven, creative intellect that can translate your abstract ideas to reality." Tim Fichtner has been solving space and budget quandaries since 1974, successfully designing over 2000 Premiere Dental Offices. He has taught dozens of Dental Design Seminars to Graduate Students, Study Clubs and Eq. Specialists. dental practice management consultants, dental contractors, architects and dental manufacturers. Tim has designed over 2000 dental offices and clinics for hospitals, prisons, community colleges and large dental universities. He is as comfortable establishing consensus among diverse specialists within a large group practice as he is helping a General Practitioner accommodate a new Associate or 'tune-up' his facility for sale. 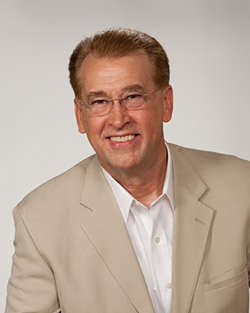 Tim has served as an expert witness in the courtroom, created detailed equipment photo-inventories of dental practices for insurance pre-claim documentation and presented design training seminars to equipment dealer salespeople, specialty graduates at universities and at conventions like the American Guild of Dentistry. He is an active member of the American Dental Association and Maryland State Dental Association. As an Eagle Scout, Tim enjoys teaching outdoors-skills to boys at Royal Ranger camps and mentoring inner-city children at his local church. Through a construction arm within Royal Rangers, he has served on six church-construction mission trips to Argentina, Bolivia, Lithuania, the Philippines and the Dominican Republic. He lives in Lancaster, PA with his talented wife Linda (who is 'still 29') and two rescued greyhounds, Expresso and Mocha. Tim enjoys working on his wife's "Honey-Do" list and making re-enactors furniture in his wood shop. Through copper-foil stained-glass, calligraphy, pen & ink portraiture and wood-burning, he has fulfilled many commissions for art and memorabilia for charities and service organizations. While Tim Fichtner may have been trained as a public school teacher, he has found tremendous satisfaction and success helping many dentists achieve their visions for their growing practices by designing and managing dental projects from Wish-List to Occupancy.